The 16016MF5611 Screw Set A can be ordered. Fits Honda. 16016-MF5-611 is the manufacturercode. 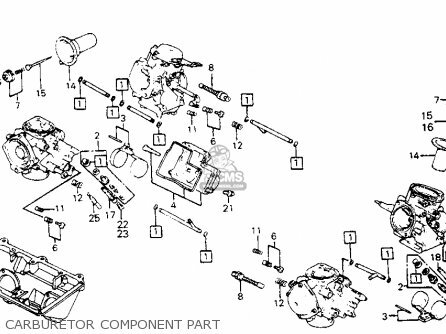 The SCREW SET A is shown as item 5 on the schematic. These are items that do wear in time, almost imperceptibly at first, but the deterioration will become worse, with lower performance and difficult starting - if in doubt, replace them! Order new carburettor seals and gaskets at the same time. Consider new throttle cables as well. If you want to discuss this SCREW SET A, please go the forum and post a message.